June Tabor (born 31 December 1947 in Warwick, England) is considered one of the foremost English folk singers of her generation. Aside from her highly-acclaimed solo music career, she has also combined her talents with greats such as Maddy Prior (as one half of Silly Sisters), Martin Simpson, Elvis Costello and Oysterband. In 2004, and again in 2012, she was named Folk Singer of the Year at the BBC Radio 2 Folk Awards. In 2011 the album "Ragged Kingdom" by June Tabor & Oysterband was named "Album of the Year" in the fROOTS critics poll. Tabor's earliest public performances were at the Heart of England Folk Club (at the Fox and Vivian pub) in Leamington Spa in the mid 1960s. In the late 1960s an appearance at the Sidmouth Folk Festival led to folk club bookings and she contributed to various records. One of her earliest recordings was in 1972 on an anthology called Stagfolk Live. She also featured on Rosie Hardman's Firebird (1972) and The First Folk Review Record (1974). At the time she was singing purely traditional unaccompanied material but in 1976 she collaborated with Maddy Prior on the Silly Sisters album and tour, with a full band that included Nic Jones. It provided the launching pad that same year (1976) for her first album in her own right, Airs and Graces. She later joined again with Prior, this time using the name Silly Sisters for their duo. Starting in 1977 Martin Simpson joined her in the recording studio for three albums before he moved to America in 1987. (Simpson has returned from America to be a guest guitarist on albums in the 2000s.) After his departure, she started working closely with pianist Huw Warren. In 1990, Tabor recorded an album with the folk-rock band Oysterband entitled Freedom and Rain. She went on tour with OysterBand, and the Rykodisc label published a limited-run promotional live album the following year. 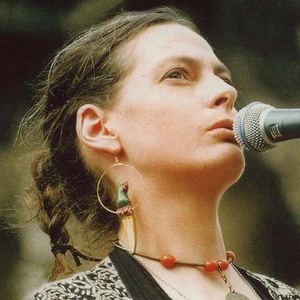 Many of her current fans first discovered her through this tour and album with the OysterBand. In 1992 Elvis Costello wrote "All This Useless Beauty" specifically for Tabor, and she recorded it on Angel Tiger. Ragged Kingdom is a 2011 album by June Tabor & Oysterband.